To begin recording mileage you will need to set up your vehicles by going to www.pinkoffice.com. Log in with your username and password. 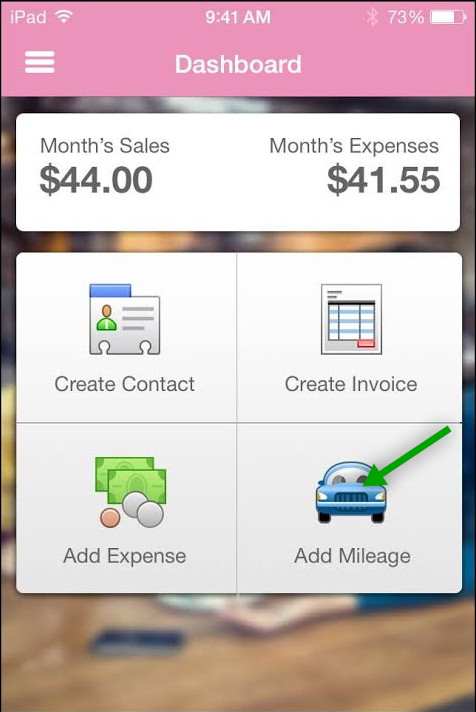 Click the "Money" tab followed by "Milage" then "Add Vehicle." 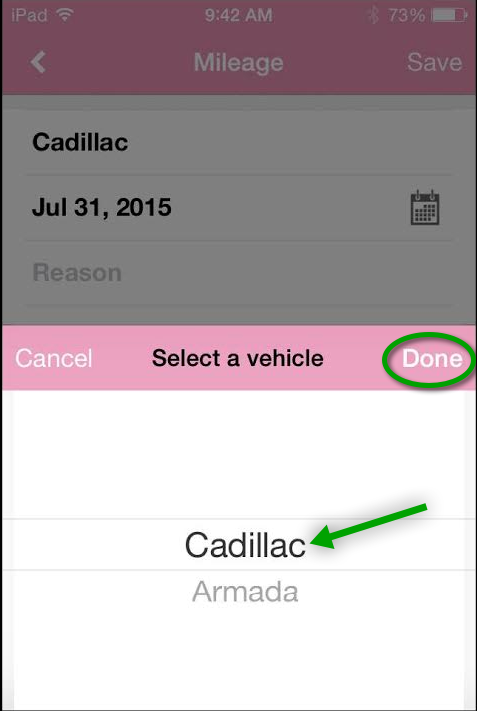 This will allow you to have vehicle choices in your mobile app. 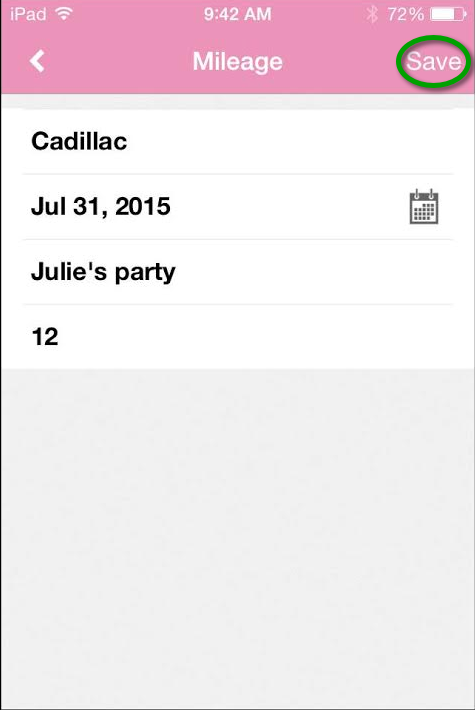 Next to record mileage on the go begin at your Dashboard screen and click "Add Mileage." Next, Choose the vehicle you for which you are recording then click "Done." Change the date if applicable and enter the reason you were driving as well as the total miles traveled for this trip. Click "Save" when you are finished. You are amazing! This is called "running your business like a business!" Nice work.